The European Space Agency's Rosetta spacecraft has crash landed onto a comet, ending its 12-year mission. 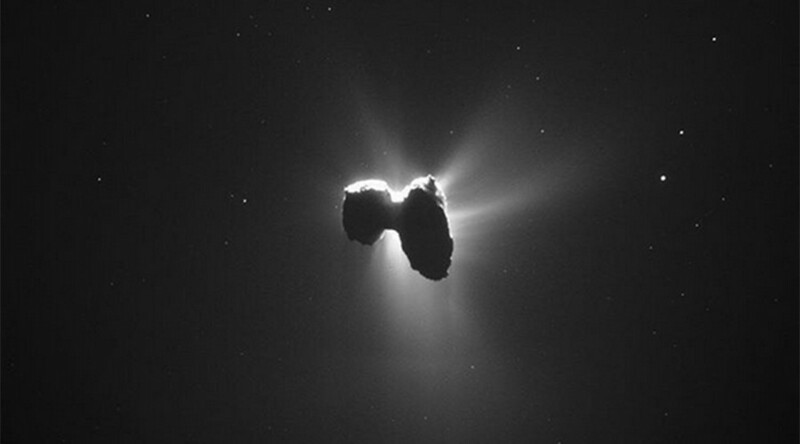 The space probe has been studying the 67P/Churyumov-Gerasimenko comet for two years. In the end, the Rosetta spacecraft’s curtain call was met with a sombre silence and then a brief cheer in the ESA's mission control room after it successfully crash landed onto the comet. Earlier, Paolo Ferri, head of operations at the ESA, described his “sadness” at the mission’s end. The original @ESA_Rosetta#SOM Paolo Ferri just sent a last command to Rosetta :) Very emotional moment. Patrick Martin, who oversaw the ESA project, confirmed the spacecraft had successfully hit its target. “I can announce the full success of this historic descent of Rosetta towards 67p and I declare the mission operation has ended for Rosetta. “This is the culmination of tremendous scientific and technical success,” he added. "Flying to and around a comet for over two years as close as [within] a few kilometers, and more than 500 million kilometers from Earth, is a challenge - and we’ve done it. “Farewell Rosetta, you’ve done the job. That was space science at its best." The $1.5 billion craft traveled an incredible 6.4 billion km during its 12-year space odyssey, becoming the first mission to orbit and place a lander, Philae, on a comet moving 135,000kph. An area known as the Ma’at region was identified as Rosetta’s final resting place, with the ESA explaining that it gave them an opportunity to study 67P’s gas, dust and plasma environment. “We’ve operated in the harsh environment of the comet for 786 days, made a number of dramatic flybys close to its surface, survived several unexpected outbursts from the comet,” said Sylvain Lodiot, an ESA operations manager. The ESA team are now studying what is being described as “crude raw data” from Rosetta’s cameras, spectrometers and sensors, collected minutes before touching down on the comet surface. The information includes final snapshots taken of the comet’s surface.